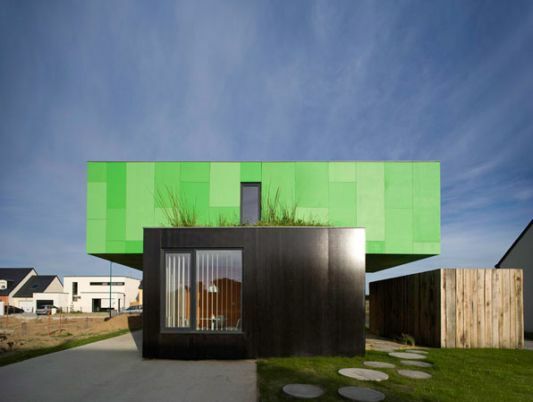 Houses are built by using the box, built from prefabricated box shape. 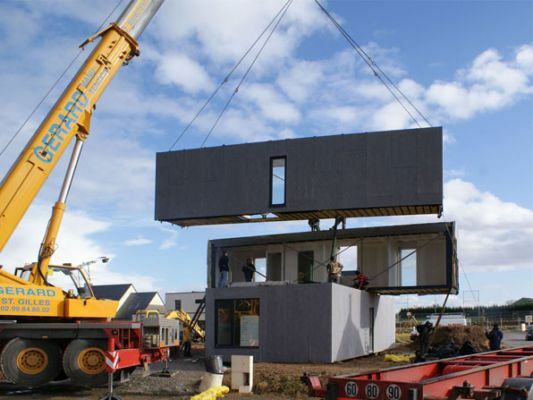 This house is the prototype of three-dimensional industry for producing a modular home. 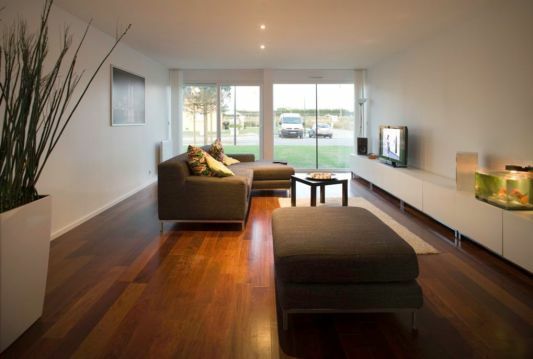 Housing construction is intended to create a home with low cost and has a high focus on the environment. Design a simple look of each volume, with living room, ground floor and equipped with three bedrooms in place on the first floor. The entrance is closed through the second junction box there. 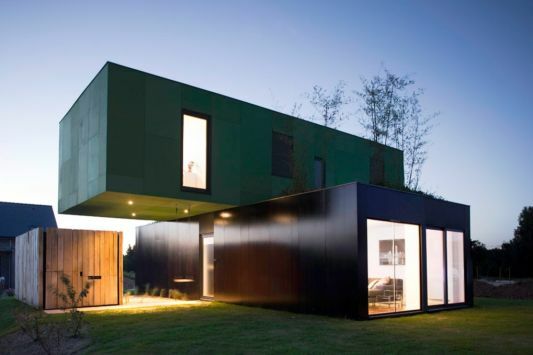 In addition to be made with minimal cost, this house also has a unique design. 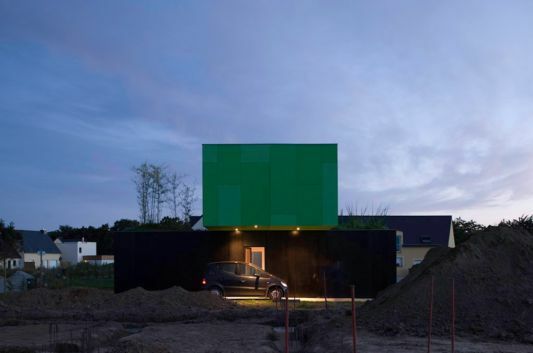 Green and black color for the wall outside the house provide contrast the two boxes that have been prepared. 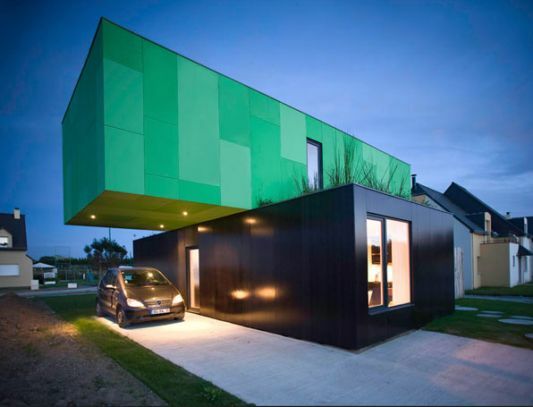 The concept of modular home design itself by ClГ©ment Gillet Architects.